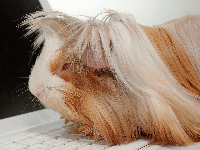 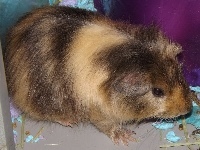 Photo of brown with white guinea pig. 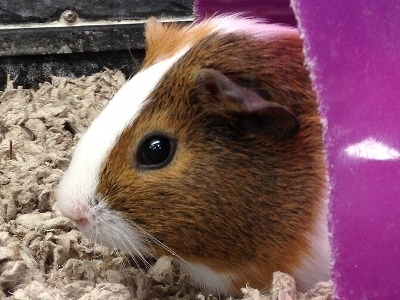 Guinea Pigs are not pigs, they are rodents. Guinea Pigs are part of the Cavy family.